Buying a reliable used car like the Volkswagen Passat is a great way to get behind the wheel of a safe and efficient midsize sedan that’s more affordable. 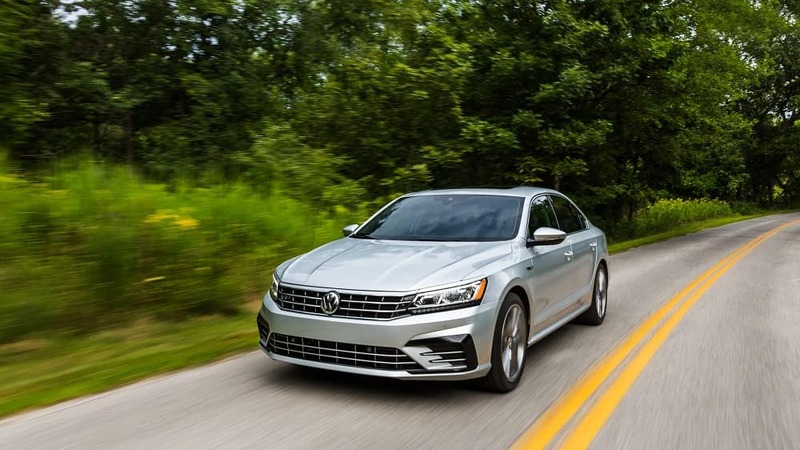 To show drivers in Toms River, Brick, and Freehold everything it has to offer, Toms River Volkswagen put together this used Volkswagen Passat review. Contact us today to schedule a test drive! A used Volkswagen Passat offers you a choice between two sporty and dependable powertrains. The base engine is a turbocharged 1.8L TSI® 4-cylinder that gets up to 170 horsepower and 184 lb-ft of torque. The second option is a 3.6L V6 with FSI® direct injection that can reach up to an impressive 280 horsepower and 258 lb-ft of torque. Both engines run with a 6-speed automatic transmission with Tiptronic® and Sport Mode. This allows you to personalize your drive by manually controlling the gear shifting without a clutch. With this transmission and the exciting lineup of engines, you’ll be in for a drive that’s both fuel efficient and fun. Driving a used Volkswagen Passat also keeps you safe. It’s built around a solid safety cage and features six airbags, including Side Curtain Protection® head airbags that protect both the front and back seats. If you’re going to be driving with small children, you can be confident that they’re strapped in safely with the available Lower Anchors and Tethers for CHildren (LATCH). You’ll even have safety features helping you out if a collision does occur. The Intelligent Crash Response System senses when your airbags are deployed and instantly disables the fuel pump, unlocks the doors, and activates your hazard lights. When you’re navigating your way through a crowded parking lot or trying to find street parking, the used VW Passat has you covered there too. Just shift into reverse and the Rearview Camera shows you what’s behind you on your dashboard. For parallel parking, the Parking Steering Assistant can take the wheel and guide you into a spot. A used Volkswagen Passat can also give you lots of features to help you enjoy your drive. In the center of your dashboard you’ll find a Composition Media touchscreen with navigation. On top of taking you on the best route with turn-by-turn directions, you can sync your smartphone with Bluetooth® and stream your favorite music. You can also access all your favorite smartphone apps through VW Car-Net® App-Connect. It’s compatible with Apple CarPlay™, Android Auto™, and MirrorLink®. 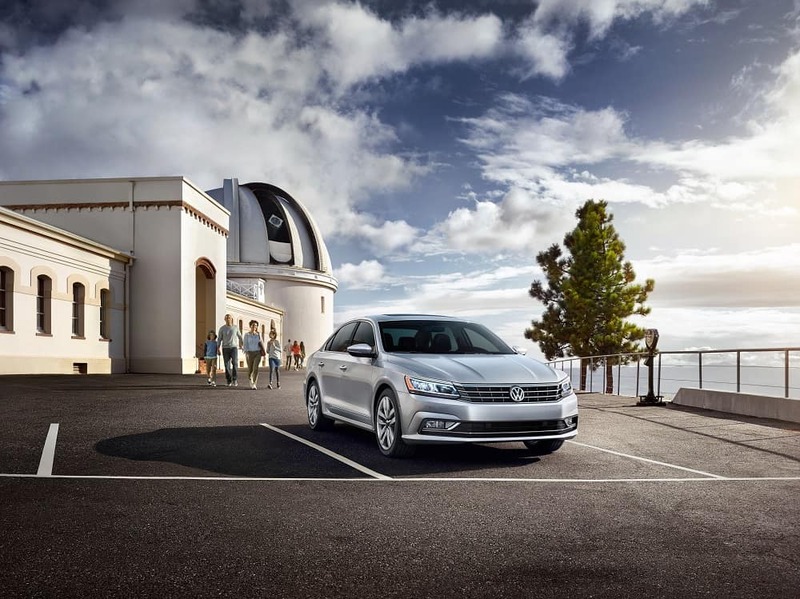 Visit Toms River VW to test drive a safe and stylish used Volkswagen Passat. It’s a great choice for drivers in Toms River, Brick, and Freehold who are looking for a fun and affordable car that’s loaded with features. To learn more about this used Volkswagen Passat review, contact us or visit our dealership.